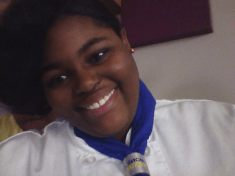 This weeks Abroad Student of the Week honor is given to Domi Hodge who is currently a junior at Monroe College and is studying Hospitality Management. She also has her Associates Degree in Culinary Arts. She hopes to use this trip to Italy as way to not only learn about Italian culture but also cuisine from many other countries that will help her achieve her future dreams! Check out her Mission here!